Three years ago we started with the Cavalier health program under the name “Cavaliers for Life” This Belgian / Dutch initiative grown into an international project with the participation of breeders from England, Germany, Belgium, The Netherlands and Greece. It’s ultimate goal is to build a sustainable breeding program for the breed. The project is a collaboration between the Universities of Leuven (Belgium) and Utrecht (the Netherlands), the scientific commission of the Belgian Kennel club, The Dutch kennel club, vets, Cavalier clubs, judges and breeders. On the 1st January 2013 the Agency for Innovation by Science and Technology (IWT) of the Flemish government granted a four year scholarship to Katrien Wijnrocx of the research group Livestock Genetics at the KU Leuven with the subject “Sustainable breeding of purebred dogs, breed specific breeding strategies for the reduction of hereditary health problems dog breeds “. 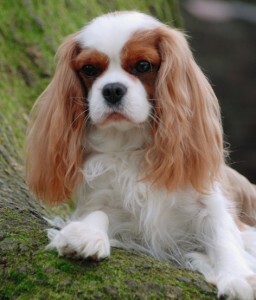 The purpose of this study is to develop a mate advisory program that is based on estimated breeding values, DNA testing and inbreeding limitation with the Cavalier as the main breed. The first step in our project is to develop the necessary software and to collect the pedigrees of Cavaliers from the different countries. This database will serve as a basis for sustainable breeding. Our database currently contains over 520,000 pedigrees. The next step in the process is to collect health results. In a first phase we will start with results of MVD (heart), CM / SM (MRI-scans only), DNA tests Episodic falling and dry eye / curly coat. Later on results of eyes, patella, etc. will also be incorporated. We have actually over 22.000 hearth screenings and over 2.000 CM/SM results. The first EBV’s for MVD are available. Based on the database and the many health screenings, the University of Leuven will develop a “mate select program”. Breeders will be get an online computer generated recommendation regarding which dogs could be suitable mates. Breeders take part in this project, test their dogs and use the “mate select program” can be considered to be responsible breeders, wholly concerned with the healthy future of the breed.